For many male students of color, having a male teacher who shared their race and upbringing could have served as the difference between success and failure. However, with only an estimated 2 percent of teachers in American public schools being black males, chances are that most male students of color never had a chance to learn from someone who looked like them. The University of Illinois at Chicago’s College of Education is hoping to change that. 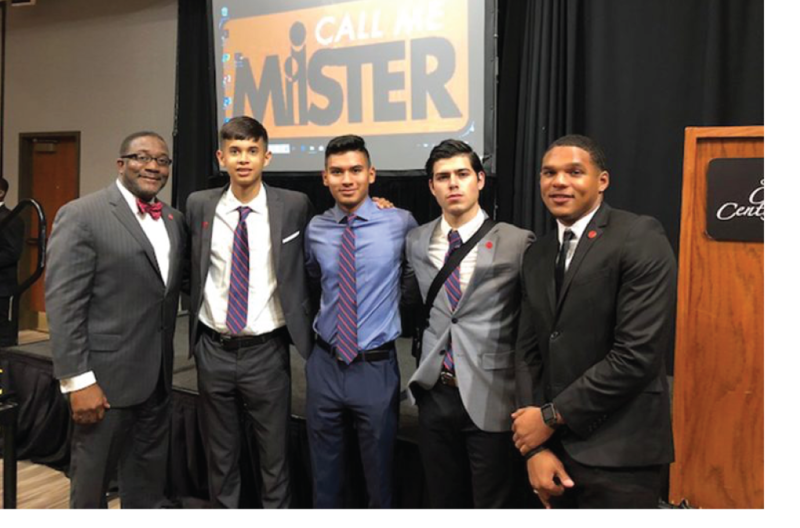 This fall, UIC welcomes six students as its inaugural cohort in its newly formed “Call Me MISTER” program that aims to prepare black and Latino men as elementary teachers who want to teach in the Chicago Public Schools system. The program, which stands for “Mentors Instructing Students Toward Effective Role Models” is part of a network currently operating in 31 schools across the country, with UIC serving as the first large urban research institution. The program began at Clemson University in 2000 as a way to increase the pool of available teachers from a broader, more diverse background. The six students in UIC’s inaugural cohort had to show a deep commitment to want to teach at the elementary level in Chicago public schools. The students, who first had to be accepted to UIC, come primarily from schools with predominant black and Latino student populations, said Tatum. “We are really creating a pipeline for these young men to go back to the Chicago public schools and the same neighborhoods where they came from,” Tatum said. The students, who are pursuing approved programs of study in urban teacher education, will receive full tuition and room and board; an academic and mentoring support system to help ensure their success; a cohort system for social and cultural support; and assistance with job placement. At UIC, the students will live in the same residence hall and serve as a support network for each other. The support from UIC was one of the reason’s Cristian Zamora chose to apply to the program. Zamora, who graduated from Golder College Prep, a CPS charter school in the West Town neighborhood, said he wants to be a teacher to give back to his community. Jesus Flores, who graduated from Curie High School in the Archer Heights neighborhood, said that in addition to the financial support that will allow him to attend UIC, the collaborative nature of the program adds peer-level encouragement, which will help him succeed. As part of the program, Flores and the others attended a summer workshop at Clemson University, where they learned about the program from its graduates. Juan Hernandez graduated from Oak Lawn Community High School and chose UIC’s College of Education because of its urban education program. He said his dream is to teach in the Chicago Public Schools and help develop education policy initiatives that can help underserved students. “The ‘Call Me MISTER’ program will not only teach me how to be an effective educator within the classroom, but a role model to my students, which is incredibly important to me,” Hernandez said.